A few months ago it was reported that Die Hard 6 would be called Die Hardest and that it would be written by Ben Trebilcook. Trebilcook is finished with the script, and in a recent interview with What Culture, he spilled some details on the story that fans of the franchise might like to hear. As a fan of the early films in the franchise, I really like the direction he is taking the story and character. It sounds like this is going to be the final film in the franchise as well, and they plan to bring back some familiar faces. Here are the details, which could be considered SPOILERS, so I'm just throwing that out there. "Hmm, what can I say? What can I say? What am I allowed to say? OK, without spoiling too much, I can say that McClane is invited to Tokyo by the Nakatomi Corporation to be commended for his bravery and efforts in saving 36 lives, celebrating this on the 30th anniversary of the Naktatomi Hostage Crisis. It’s by no means Black Rain. Perhaps has a slight Rising Sun type tone. It’s also not a double-act buddy-buddy story. 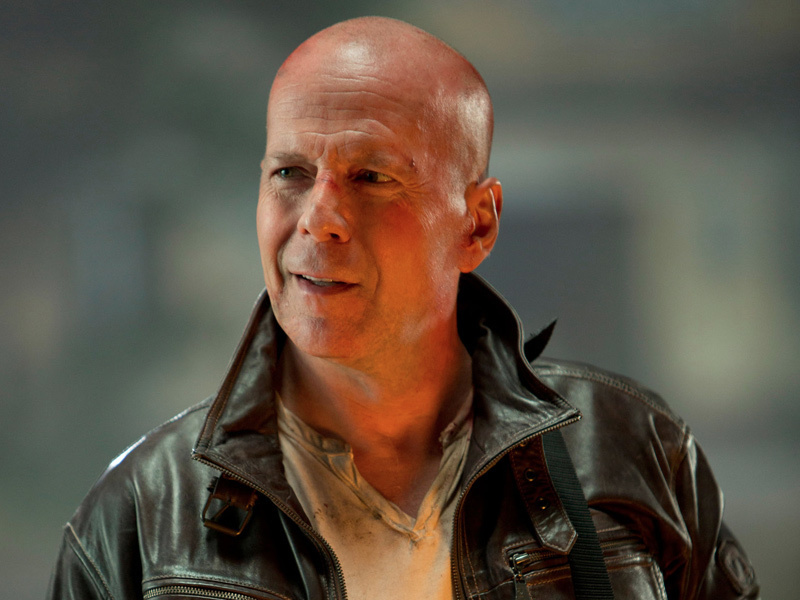 McClane began on his own and should end on his own. Of course he’s had assistance in various guises, aiding him in his ventures; but it’s not Lethal Weapon or a Jackie Chan film. "My story, being set in Japan, obviously has Nakatomi playing an extremely significant role; in a way that.. well, it’s John McClane in Japan and if you’ve seen any Japanese movies or at least know anything about their culture at all, you know it would have a lot of potential to be nuts. It’s not Ichi The Killer, but it is crazy and as real as you can get in these realms. It’s violent, but not over the top nor unnecessarily Loony Tune like Olympus. It’s well researched, faithful to the franchise, yet giving a possible audience such a refreshing punch to the face, they’ll be saying ‘Wow. I really wasn’t expecting that.’ You want a nugget, don’t you? I’m pretty sure it’s out there. A few Japanese fans on Twitter put two and two together when I uploaded a picture of a Katana (Samurai Sword) with some kanji reading ‘Zeus’. Yes, I’ve written Zeus Carver in for Samuel L Jackson. "Like I said before, it’s not a buddy-buddy script, but you can’t ignore him. Zeus played a major part in McClane’s life. They went through a lot together. They would certainly, without a doubt, still be in contact. A guy I know, Stel, wrote the 51st State (aka Formula 51) with Sam the Man. I put the idea to him and he said Sam would probably love to have a sword in a movie; that’s how you could woo him. Let’s say I have a Better Tomorrow 2 vibe. Have you seen that film? Tell you what else? Probably the best ‘Yippie Ki Yay’ one could ever hope for." I love the direction that he's taking the story, and I hope it happens! There's a lot more to read in the interview, so if you want to know more about the movie and the previous projects the writer has worked on, click here.